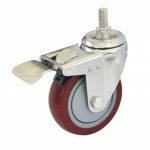 Castors are available in a range of different Castor Wheel fixings. These different varieties allow for Castor Wheels to be installed onto various fabrications and assembly types with ease. One of the most common Castor Fixing Methods on the market, with around 65% off all Bulldog’s sales incorporating this design. A straight forward design, which incorporates a square or rectangular steel top plate connected to the Castor through a ball-bearing swivel race. 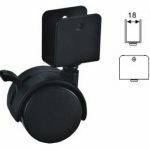 The Top Plate typically has 4 bolting holes for connecting to the equipment of machinery, however 2 hole versions are also available for small furniture and appliance castors. Top Plate Castors typically provide the highest strength, so are also ideal for heavy duty applications. The design allows for easy fixing to flat wood/board, sheet steel and fabricated brackets. Also, an extremely popular fixing method, having 2 slight variations. Bolt Hole Castors have a single hole at the top of the castor bracket, allowing for a Bolt to be passed through the hole and fixed to the equipment of machinery. Single Bolt Castors (or Single Stud Castor) have a Single Stud protruding from the Castor Bracket, allowing the equipment or machinery to be mounted directly onto the stud. 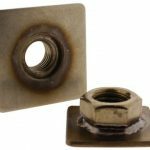 The Bolt Hole & Single Bolt Castors provide the opportunity for mounting to almost every type of equipment fixing point, whether it be a flat wood/board, sheet steel or fabricated bracket. 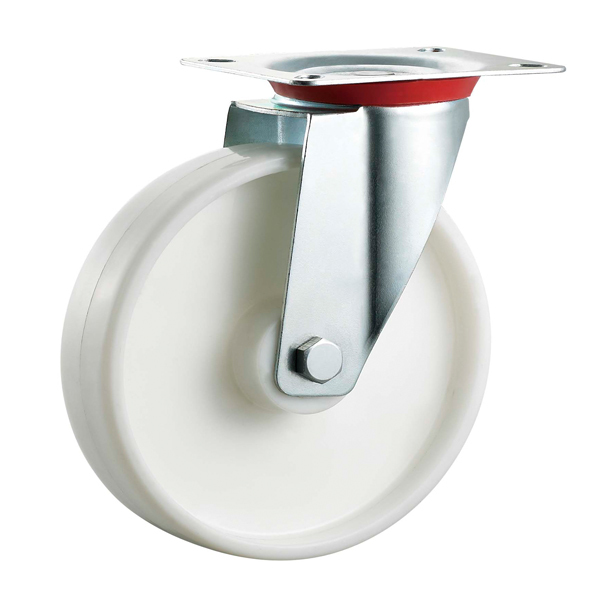 In addition, with the use of additional components, the castors can be fixed into metal tubes. To connect the Bolt Hole or Single Bolt Castors into metal tubes, the following add-on components can be utilised. Threaded Tube Inserts – These are simply moulded plastic inserts which can be pressed into the end of a metal tube or box section. The Inserts are available in a range of sizes to suit most standardised tubes, and have a central female threaded to connect to the castor bolt. 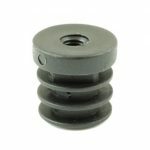 The Threaded can be plastic, or for heavy duty applications may be manufactured from steel. The “Ribs” of the insert provide an interference fit, ensuring the inserts do not easily come out. provide the highest level of strength and permanent fixture to the equipment. The Inserts are simply welded to the end of a stainless steel tube or box section, and the castor wheel is screwed into the insert. 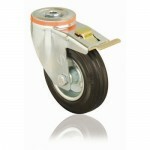 The are ideal for heavy duty castors. Expanding Inserts – As the name suggests, these inserts expand once assembled into a square box section or tube. The expanding insert is manufactured from Polypropylene, and has 2 small threaded cones internally within the insert. As a bolt is threaded through the insert the 2 cones are pulled together and make the plastic expand. The cones can be supplied in plastic, or metal for heavy duty (high locking) applications. Similar to the Single Bolt Castor, these castors have a metal spigot, called a Stem, protruding from the top of the Castor. A Female Insert is used with this type of fixing. Basically the Female insert is fixed to the equipment, typically into wooden surfaces, and the stem of the castor “clicks” into the female insert. A typically application would be the Caster Wheels used on a bed. U Bracket Castor Wheel Fixings are typically found in the Office and Furniture Equipment Industry. The shape of fixing bracket is a “U” which is typically fitted over a piece of wood/board, such as a desk frame. A screw or bolt is then passed through the bracket and wooden board.